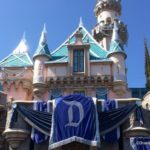 This weekend — April 13th and 14th — guests will be able to partake in old-school cocktails at three locations throughout Downtown Disney. 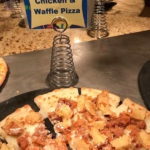 The participating restaurants include Naples Ristorante, Catal Restaurant, and Tortilla Jo’s. 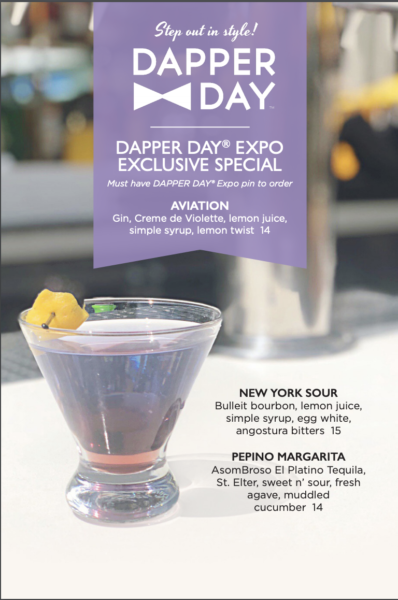 Come dressed to the nines and ready to show off your Dapper Day expo pin (more details on how to get one can be found below). 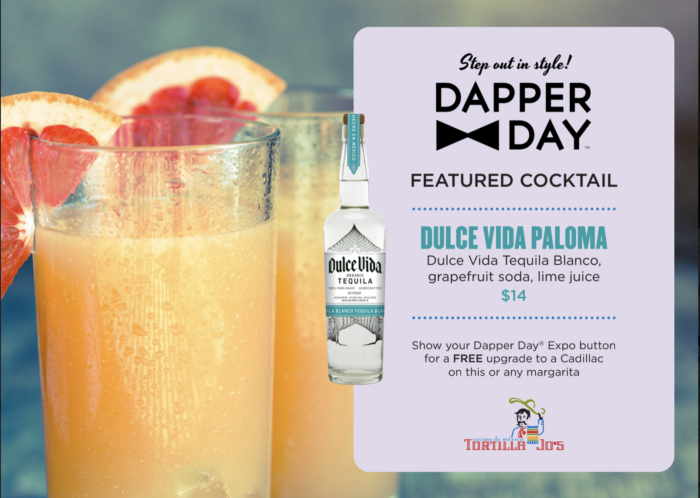 This pin is what will give you the opportunity to order the exclusive Dapper Day cocktails. These will include the Bee’s Knees (gin, fresh lemon juice, honey, basil, lemon twist) at Naples, the New York Sour (Bulleit bourbon, lemon juice, simple syrup, egg white, angostura bitters) at Catal, and Dulce Vida Paloma (Dulce Vida Tequila Blanco, grapefruit soda, lime juice) at Tortilla Jo’s. And to make matters even more dapper, each of the drinks will be served with Dapper Day branded stir sticks. 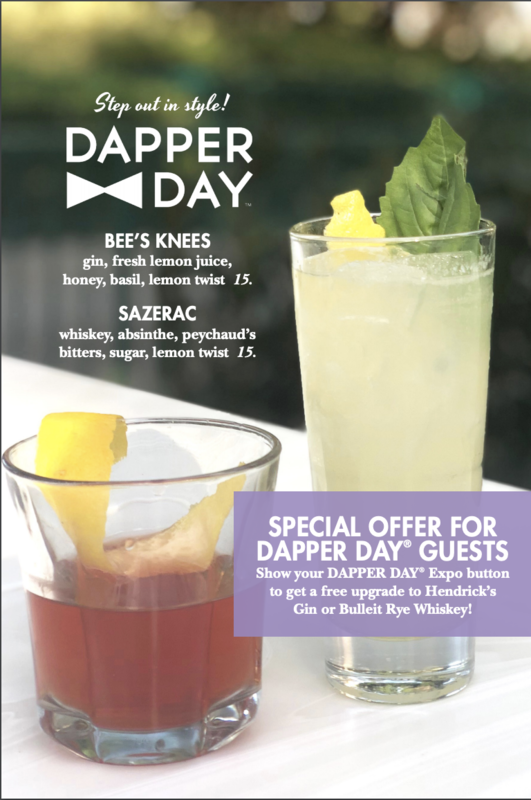 So, I know what you might be thinking… “I want one of these cocktails (or an upgraded drink, as seen above), but what is the Dapper Day Expo and how can I get that pin?” By attending the Dapper Day Expo, of course! The Dapper Day Expo will feature “everything for fun, stylish living.” At the expo, you’ll be able to browse a large selection of classic and vintage clothing and accessory vendors. 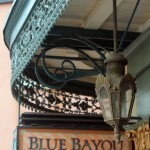 With options including jewelry, clothing, shoes, eyewear, hats, and more! There will also be performances by Dandy Wellington & his band twice daily on the expo stage. The event will also include workshops on April 13th, that will allow visitors to engage in style-related seminars. 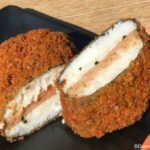 The event will take place April 13 and 14th from 11 AM- 7 PM on Saturday and from 10 AM- 7 PM on Sunday at the Disneyland Hotel Exhibit Hall. A two day Expo Pass costs $12.50. These tickets can be purchased in advance online or at the door. Click here to purchase your tickets! 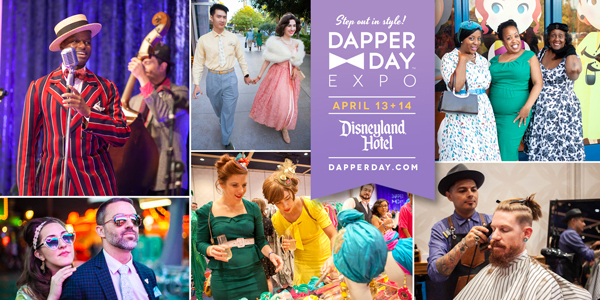 Click here to view the exhibitors and to find out more about the special Dapper Day Expo events that will be taking place! Will you be participating in Dapper Day this year? If you are, what are you wearing? Let us know in the comments below!